This is a guest post by Henry Lee at fotoeins.com. Henry is a photographer and writer who has worked previously as a research astronomer, lived in Europe and South America, and traveled around the world for one full year. With the Fotoeins Fotografie website as a showcase for photographic work, his present focus is on Germany with explorations which go beyond Bavarian castles and beer festivals. With over 40 locations inscribed as UNESCO World Heritage Sites (WHS), Germany offers cultural and historical diversity with fine examples of architecture, design, and nature throughout the entire country. Here are four examples of WHS in the country. 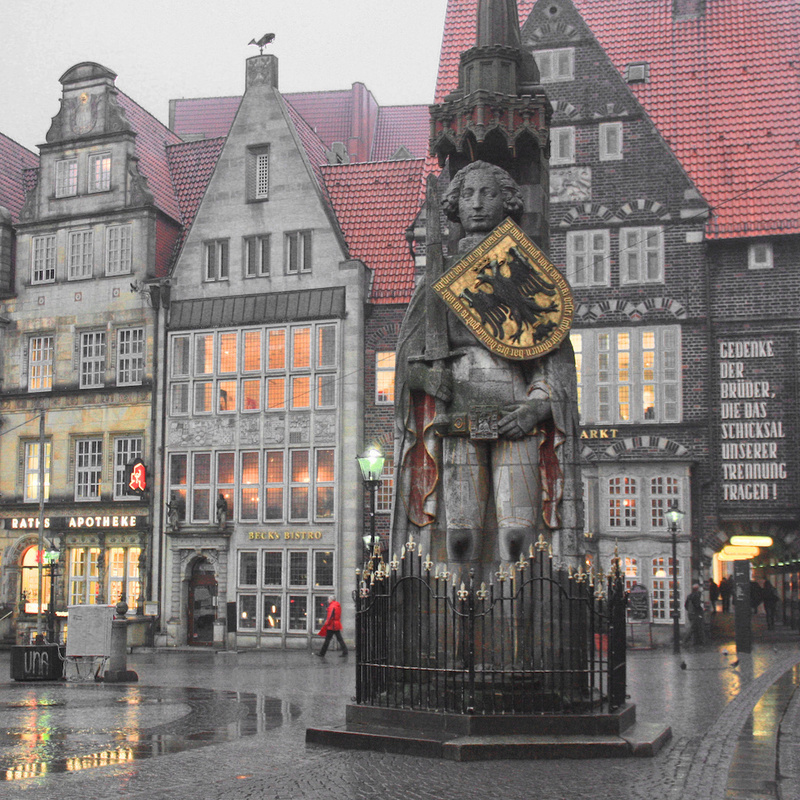 Built in 1404 AD/CE, the Roland statue in Bremen’s market square is associated with the 8th-century AD/CE Frankish leader and Margrave of Brittany, a paladin of Charlemagne’s imperial court. The statue was built to represent rights and privileges associated with the free imperial city of Bremen. The Old City Hall (out of frame to the right) saw its start as Gothic in the early 15th-century with Renaissance style renovations in the early 17th-century. Bremen’s City Hall and Roland statue have been a UNESCO World Heritage Site since 2004. Bremen is about 1 hour from Hamburg with the InterCity or regional train. 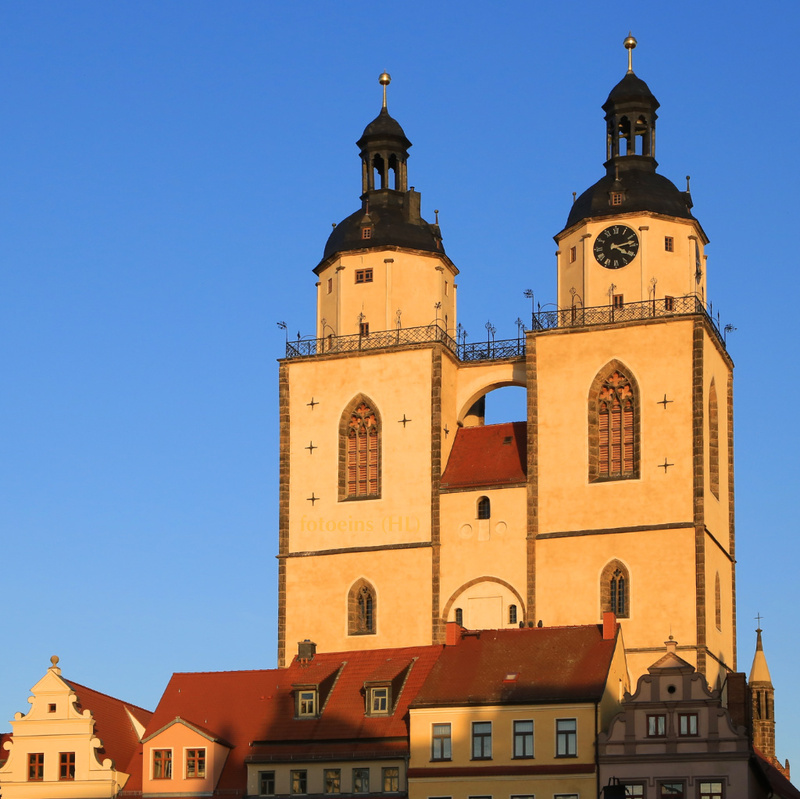 Late-afternoon sun casts a warm glow on the City and Parish Church of St. Mary (Stadtkirche) in the east German city of Wittenberg. This was the church where Martin Luther preached and it’s where Holy Mass was celebrated in the German language for the first time. This church is also considered the “Mother Church of the Reformation” and is one of four sites in the city inscribed as UNESCO World Heritage Site since 1996. Wittenberg is 40 minutes from Berlin with the InterCity Express train. From 786 AD/CE, Holy Roman Emperor Charlemagne built his imperial palace in what is now Aachen. Built between 793 and 813 AD/CE, the Palatine chapel includes the original octagon, an example of Carolingian Renaissance construction. The church would eventually become the core for the larger “surrounding” cathedral. 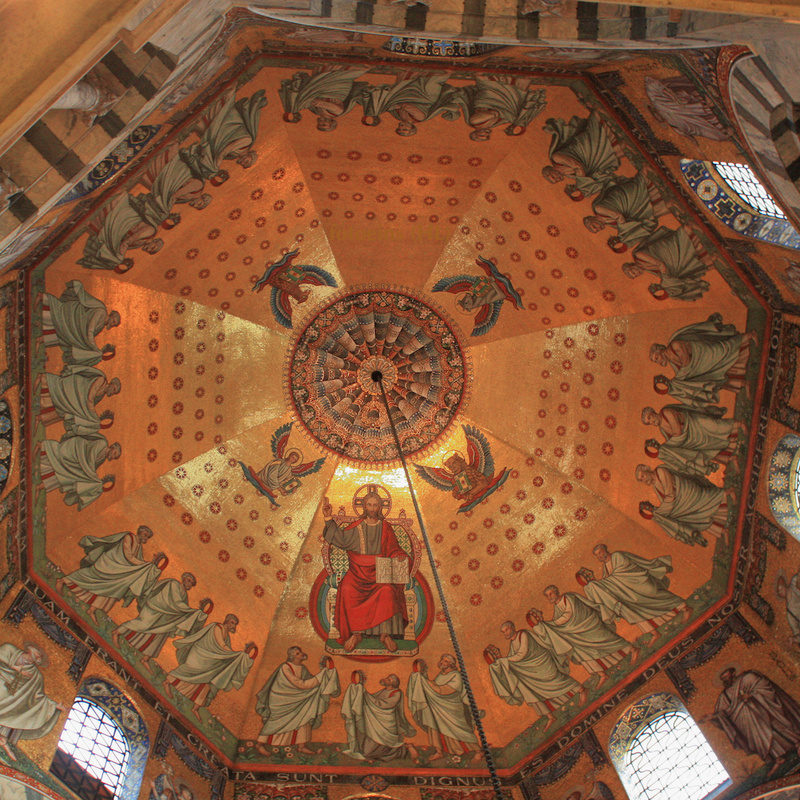 In 1978, the Aachen Cathedral became Germany’s first UNESCO World Heritage Site. Aachen is about 1 hour from Cologne with the Regional Express train. 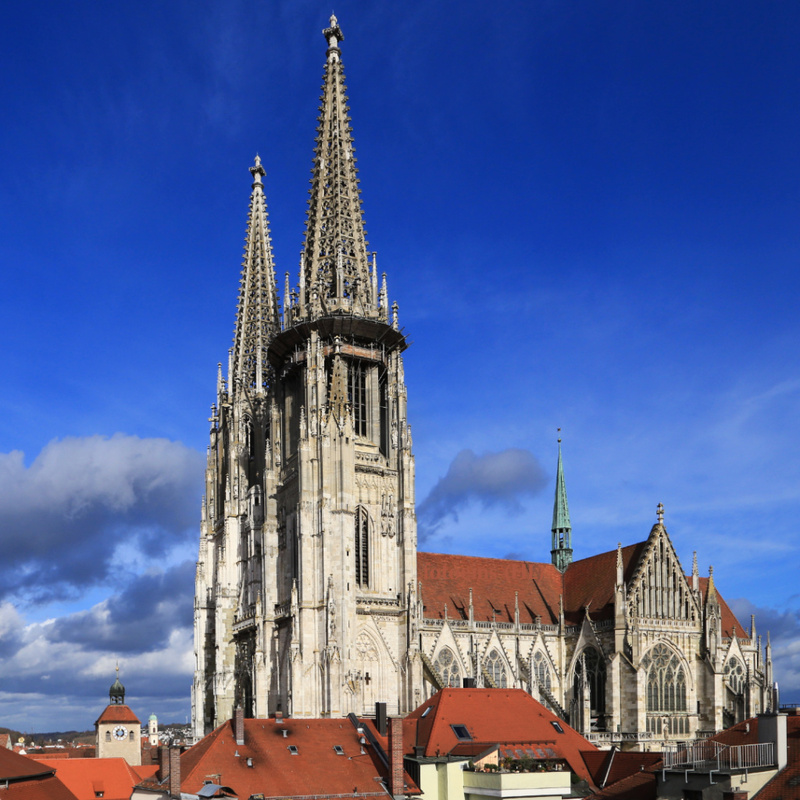 With St. Peter’s Cathedral as key landmark and an important example of southern German Gothic architectural style dating back to the 13th-century, Regensburg’s Old Town along with Stadtamhof form the inscription for the listing as UNESCO World Heritage Site since 2006. Visitors going across the famous 12th-century Stone Bridge between the city’s Old Town and Stadtamhof should stop at the “Wurstkuchl” which is known as the oldest running grilled-sausage stand in the world. Regensburg is about 1 hour from Nuremberg with the Intercity- or Regional-Express train. Thanks again to Henry Lee for this wonderful post about Germany. This is making want to go back to Germany. Thanks for the inspiration. Love the pics and this blog. I’m glad you’re feeling the inspiration to return to Germany. I have a large focus on Germany on my blogsite from which I hope there’s more inspiration for your future explorations. So many gorgeous UNESCO-worthy sites in Germany, I love it. Regensburg has been on my to-see list for a while now: I hear it’s stunning. differentshoresblog : thank you for your comment. Located in northeast Bavaria, Regensburg sits comfortably on the Danube river going back to the days as a border garrison at the northern limits of the Roman Empire. Regensburg is a beautiful city and easy to reach from either Nuremberg or Munich. Emma : From what part of Aotearoa do you come? Thanks for your comment, and I hope you’re so intrigued to hop over the Channel and explore (more of) Germany. Tanja, thank you very much for hosting my guest post!